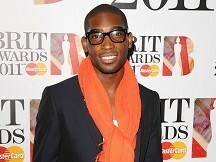 Tinie Tempah has been busy penning songs with Irish rockers The Script. The new tunes are set to feature on the Pass Out star's next album, the Daily Star reports. Script star Mark Sheehan told the newspaper: "We have recently written some songs together with Tinie. Every now and again you meet artists you just click with, and he's one." He added: "Some people might think it is an interesting hook-up but that kind of music is our background. "We studied R&B and hip-hop for 10 years in America with (producer and songwriter) Dallas Austin." The Script have been busy this festival season. The band performed at this weekend's T In The Park in Scotland, and next month take to the stage at V Festival.